One of my computers has been suffering from a slow or long shutdown time, around 4 to 5 minutes. That happened when I upgraded its operating system from Windows 8 to Windows 8.1. Well, at first it shuts down and restarts properly. But later it took forever for the system to shutdown fully. I recently installed a new Windows 8 64bit copy using Plextor’s M6 Pro SSD. Then as usual I upgraded the OS to the new Windows 8.1, since it is a free upgrade if you have the Windows 8 full version. After I have successfully upgraded to Windows 8.1 and installed all the necessary drivers, I tried to shut it down. To my surprise, the freshly installed system is also suffering from long shutdown time. I knew it wasn’t a hardware problem and it has something to do with the OS already. I tried every solution I saw on the internet. I tried tweaking its registry, specifically the “ClearPageFileAtShutdown” – it didn’t work. Then I tried fixing the Bluetooth by updating to the latest possible drivers, since there were users saying that it was the problem. But it wasn’t and it didn’t work for me. Then I tried this and that and this… But none of them worked for me. Of course I won’t try to do a fresh install (again), since I already did that. Finally, I read something about “Hybrid Shutdown”, and it has been causing problems to some computers running in Windows 8, or freshly upgraded to Windows 8.1. By disabling that feature, I was able to finally solve my problem and fix the slow or long shutdown time of my computer. How? Check out the solution after the jump below. 1. Go to Power Option from the Control Panel. You can do this by searching from “Power Options”, or going to Control Panel -> Power Options. You should be seeing a similar windows like below. 2. 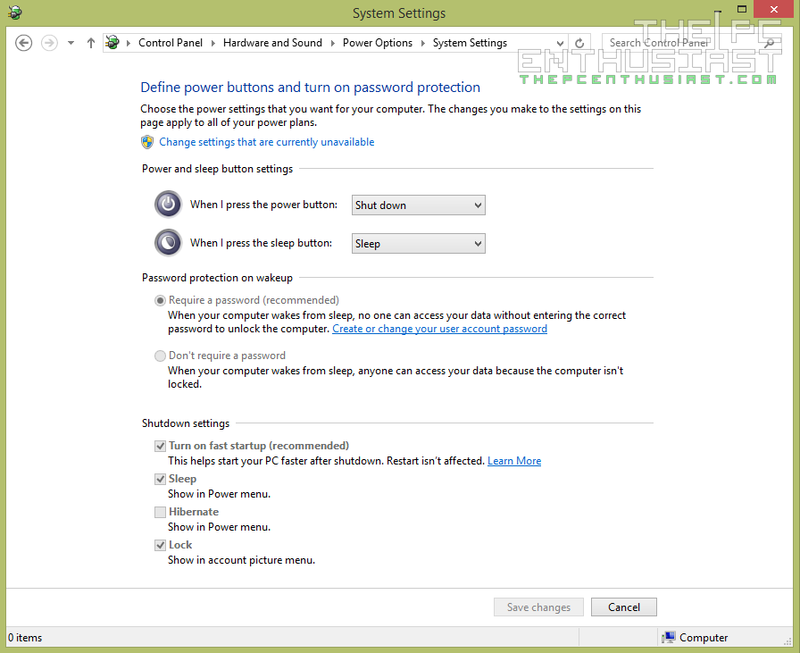 Click on the “Choose what the power buttons do” and the window will display more options like the one below. 3. Click “Change settings that are currently unavailable”, and you should now be able to change the “Shutdown settings” that was previously greyed out. 4. Uncheck or disable the “Turn on fast startup” options and click “Save changes”. And you’re done! Close all Windows and try shutting down your computer. 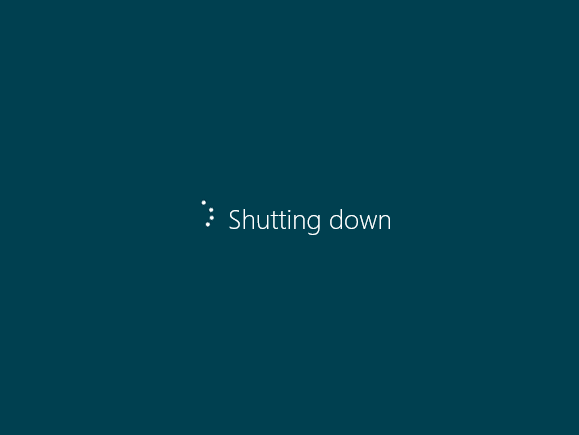 Your computer should now be able to shut down properly without any delay. I don’t need that “Turn on fast startup” feature even if Windows recommends it. My system is using an SSD for the OS drive and that alone is very much enough to give my system a speedy boot up time, shut down time or even restarts. I hope this solution will also fix the same problem you are experiencing now. If you find this article helpful, please do consider sharing this to someone else who is also experiencing the same problem, or link back to this page. Thank you so Much!!! This was driving me crazy. My computer would shut down the first time I turned it on and the 2nd time it would boot up fine. Every time! This solved this problem as well, too am running a SSD, fast boot is not needed, or obviously wanted. Windows 10 here, Dell XPS 8500.
how can i go there? its saying restarting pc for like 15hours.